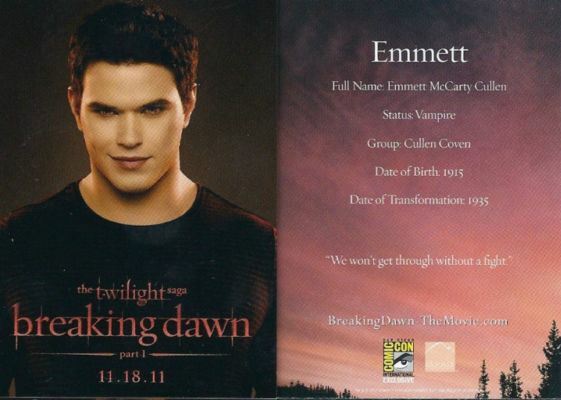 Emmett Breaknig Dawn promo card. emmett's Breaking Dawn promo card from Comic Con. Wallpaper and background images in the 해리 포터 대 트와일라잇 club tagged: twilight movie breaking dawn promo comic con card.